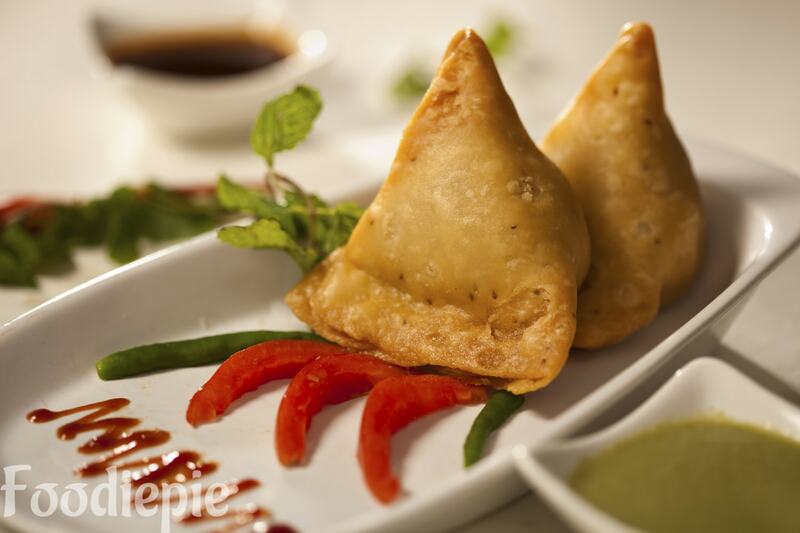 Aloo Samosa Recipe - Samosa is one of India's famous street food. If Samosa is have with evening tea, its fun becomes double. The layer of samosa is crispy and deep frying is done by stuffing the potato and Green peas mixture inside it.This Aloo Samosa recipe is very delicious and take few minutes to prepare.We can serve Aloo Samosa with Chana Masala,curd,onion slices, or any other Bhaji.We laern that today how to prepare it at home.Let's checkout Aloo Samosa Recipe. For Mixture filling in samosas. Step 1 : First of all Boil the potatoes and green peas till softer.If you are using frozen peas then no need to boil them.You can use directly. Step 2 : Take a bowl and add ghee, salt and All purpose flour mix all well and Prepare a hard dough with the help of half cup of lukewarm water. Cover the dough for 20 minutes to be set. Step 3 : Heat 2 tablespoon oil in pan over medium flame.Add ajwain,chopped green chilies and ginger garlic paste.Cook for 1 minutes. Step 4 : Then add boiled green peas,coriander powder,garam masala,red chili powder and cook for a minutes. Step 5 : Now Add peeled and mashed potatoes,Salt.Mix all well and cook for 5/6 minutes over medium flame.Then add Chopped green coriander.Turn of the flame and transfer a bowl and leave for cool down in normal temperature.Mixture is ready for filing. Step 6 : Take a portion from dough and Make round balls then put it over rolling board and roll it out into round shape like Chapati 5/6 inch diameter.Then cut from halves.Spread little oil or water cut side edges. Step 7 : Take one half cut chapati and give it shape like cone by folding from both sides of chapati and pressing them to seal the sides. Step 8 : Now fill the cone with 2/3 teaspoon with filing Mixture and and press tightly with your thumb and seal them.Prepare all samosa like that. Step 9 : Heat oil in heavy bottomed pan over medium flame.Put 4-5 samosas in hot oil at a time.do not over crowded.Reduce the flame to low flame.Deep fry them low flame.until they turn golden brown from all side or looks crisper.